Blue Sky BuildersSkywriters Garage BlogGaragesIs a Fall Garage Sale a Good Idea? The first thing that typically discourages most people from hosting a fall garage sale is the weather. Fall weather is unpredictable, making planning an outdoor activity like a garage sale a little difficult. You may face snow one day, only to have a beautiful warm day the next. When planning your fall garage sale, checking the weather is important. Sure, on crummy fall days people typically tend to avoid outdoor activities. On those beautiful, blue sky, perfect fall days, however, people flock outside to soak up the weather before winter hits. 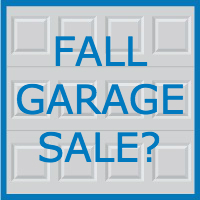 When planning your fall garage sale, allow yourself a couple of different weekends to choose from. The more options you give yourself, the better your chances are of scoring a beautiful fall day. The more people out and about, the better for you and your wallet. Spring and summer may be the most popular garage sale seasons, but popular is not always a good thing. Garage sales thrown in the spring and summer face competition from hundreds of others each weekend. Sellers rush to claim well-trafficked areas to hang signs and hope that their sale is among the most visible of the weekend. If not, they may end up unsuccessful. A fall garage sale, however, typically faces little to no competition. Put your signs up in busy areas and watch the people flock in. With no competitors, you could be the busiest sale in town. Selling holiday goods, like winter and Thanksgiving decorations, is best avoided during spring and summer garage sales. Those items seem out of season during that time, and for the most part people are not looking to stock up on winter holiday supplies in June. Fall, however, is the perfect time to unload any of your unused goods. Those left over Thanksgiving decorations? Check. That old fake Christmas tree? Check. On top of that, because the holidays are coming up, you can mark up the prices on your seasonal items. Consider creating a specific table for each holiday, and set up your items so people can truly see how they look being used. While summer might not be the ideal time to sell a down jacket, fall is perfect. Your fall garage sale is the perfect time to set out some of your unused winter clothing items. With the air getting slightly crisper as we head into winter, people are in the mood to buy warm, comfortable winter clothing. Remember to set out any children’s clothing as well. Winter gear is expensive, especially for growing children, so many parents turn to garage sales and thrift shops for gently used winter coats and accessories for their children. Along with clothing, set out any leftover sporting gear you may have laying around. Many kids participate in fall sports, so now is the perfect time to unload any unused gear you have collected. If you are still nervous about your fall garage sale being neglected by customers, consider providing some delicious food. Food can be the key to a successful garage sale during any season, but there are some amazing fall favorites you can prepare for your customers. Everyone loves hot chocolate and warm apple cider. Add in a delicious pumpkin pie, or a hearty soup on a chillier day, and you will be booming with business. For more garage related topics, be sure to follow this blog. 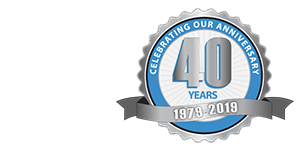 To inquire about the services we offer in the Chicagoland area, contact Blue Sky Builders online or call (630) 852-8485.